Nearly opaque black violet color. 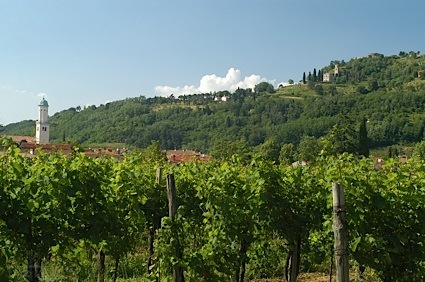 Rich, fruity aromas and flavors of fresh baked blueberry cobbler, macadamia nut gelato, and chocolate mint with an oily, tangy, dry-yet-fruity medium-full body and a warming, distinctive, medium-length finish revealing notes of huckleberry jam, toffee, and honeyed peppercorns with chewy, earthy tannins and moderate oak flavor. A nice jammy shiraz to kick back with. Bottom Line: A nice jammy shiraz to kick back with. 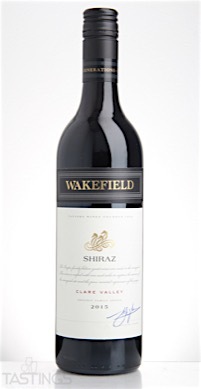 Wakefield/Taylors 2015 Shiraz, Clare Valley rating was calculated by tastings.com to be 90 points out of 100 on 5/18/2016. Please note that MSRP may have changed since the date of our review.